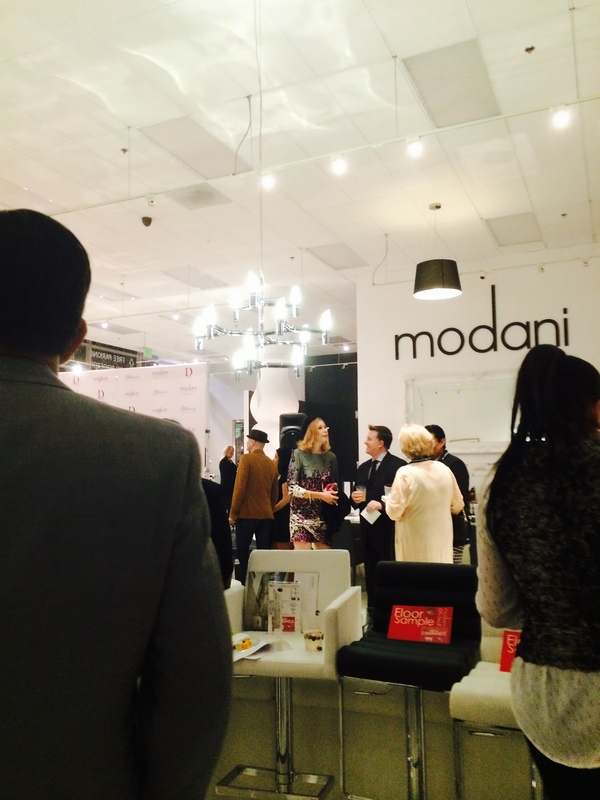 At Modani’s in West Hollywood, my guest and I enjoyed viewing the collection at their Pre Oscar bash. This giant, mirrored, sculptural, face chair was quite a show stopper. It’s like a huge mask with eyes, a prominent nose and mouth visible on the back. Definitely a conversation starter and a piece to be placed in the center of the room or near a window so it can be enjoyed from all sides. Surprisingly, it was pretty comfortable! Maybe something for my next house? A variation is this white dome chair. Similar in scale, but could work well in numbers given the right space. Check out the back of the chair reflected in the window behind me. 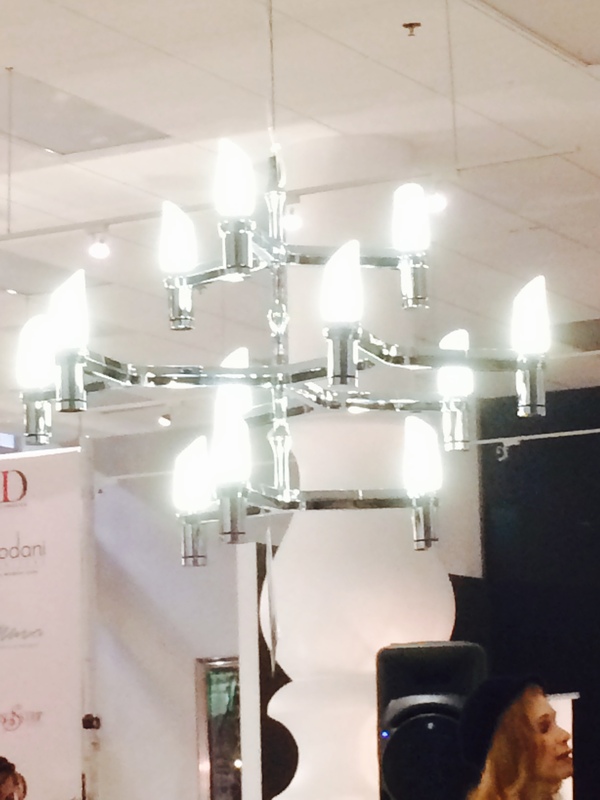 This modern chandelier with sleek, flame influenced glass fixtures caught my eye. Here’s another view of the light fixture. Some great pieces for your patio, deck or pool surround. Love the round seating and the glowing globe accent light. Great for defining outdoor spaces and especially effective for parties that slip past sunset and last late into the night. I adore these silver placements and festive orange dishes.